Metsec offer complete cable ladder systems ranging from 50mm deep light duty ladders to 150mm deep extra heavy duty ladders in UK and European widths, up to 900mm, with a wide range of accessories. Materials and finishes available are mild steel hot dip galvanised as standard and stainless steel grade 1.4404 (316L) to order. Where requirements specify – a post manufacture process which involves chemical cleaning and passivation of stainless steel parts is also available on request. Metsec cable ladders generally conform to BS EN 61537:2007 “cable management – cable tray systems and cable ladder systems” and are fully supported by independent testing at the Department of Mechanical Engineering at the University of Strathclyde. 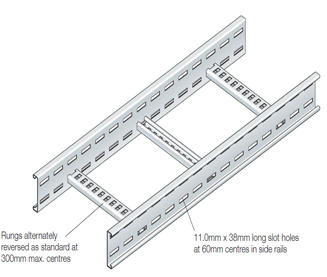 A full design service for the cable management range ensures the most cost effective solution is specified. 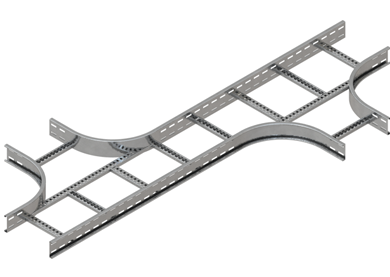 CAD drawings can also be produced if required. Metsec Cable Management offer comprehensive stocks, very high on-time and in full delivery performance and a made to order service for long, straight lengths and alternative rung configurations. Download our cable management brochure for more information. 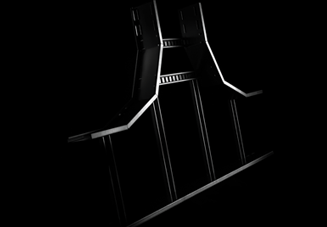 The Metsec PreGalv Ladder has been specially designed to provide a high quality, cable management solution across a wide range of market sectors. Whilst rungs are alternately reversed as standard, other rung orientations can be produced to order. 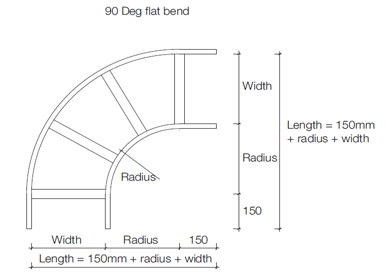 Additionally alternative widths are also available to meet the requirements of the European markets.